Known as ‘Japan’s tropical side’, the entire prefecture of Okinawa has a subtropical oceanic climate with an average temperature of 23°C. It consists of 160 islands extended over a vast ocean area, with 46 of these islands inhabited. 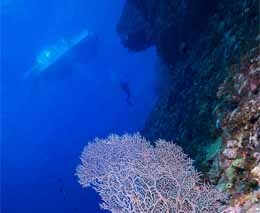 Not surprisingly, there are hundred of dive sites dotted amongst the islands – not least of which is the famous Yonaguni Monument – a site that looks like the remains of a legendary city like Atlantis. Until 1609 Okinawa was in fact a separate empire – Ryukyu– a title granted not by the Japanese Emperor, but the Chinese Emperor of the time. The Ryukyu Kingdom was a prosperous trading port connecting China and Japan with the kingdoms of Southeast Asia, continuing to trade as a prefecture of the Japanese Empire throughout Shogun rule when the rest of Japan was a ‘closed country’. 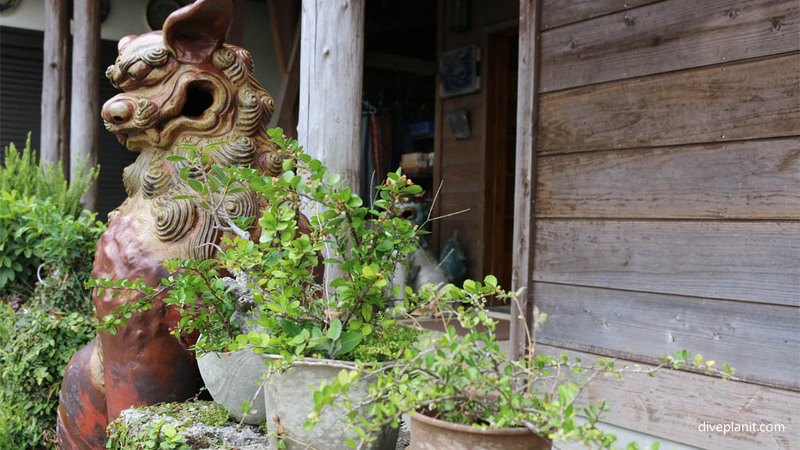 This international influence has created a culture in Okinawa that is different to mainland Japan. 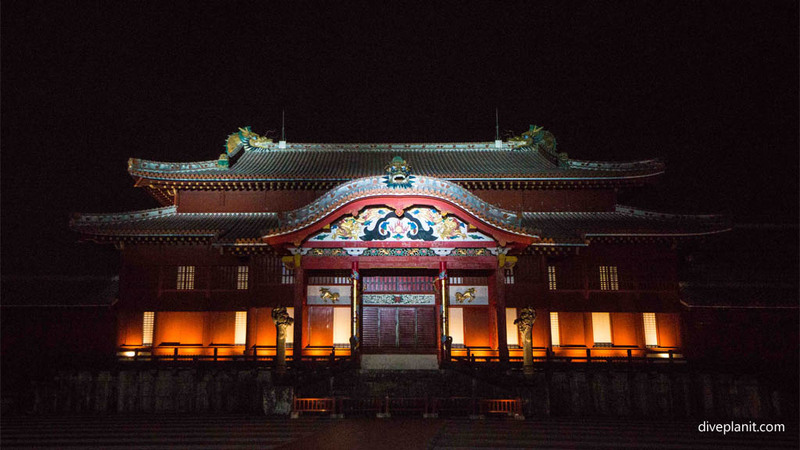 There is a distinct Chinese influence here that can be seen in the architecture, especially in the Sho Dynasty-era Shurijo Castle and Fukushuen Garden in the prefecture’s capital of Naha. Okinawa is of course also known for the role played in WWII – the Battle of Okinawa was the bloodiest of the Pacific arena, claiming the lives of just under half Okinawa’s population, some 122,228 people, including, according to some reports, every male over the age of 18. You can learn something of this at the Okinawa Prefectural Museum & Art Museum in Naha as well as the old underground Navy Headquarters. 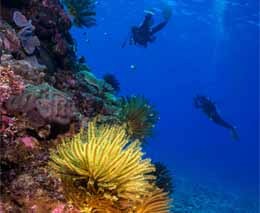 The West Coast of the main island is dotted with white sandy beaches, with diving at Maeda Point, but the more popular diving destinations are located in the islands that stretch from the main island, southwest to remote Yonaguni Island. The closest (and most popular) group of islands are the Kerama Islands, a 50-minute ferry ride from Naha, within the Kerama Shoto National Park. 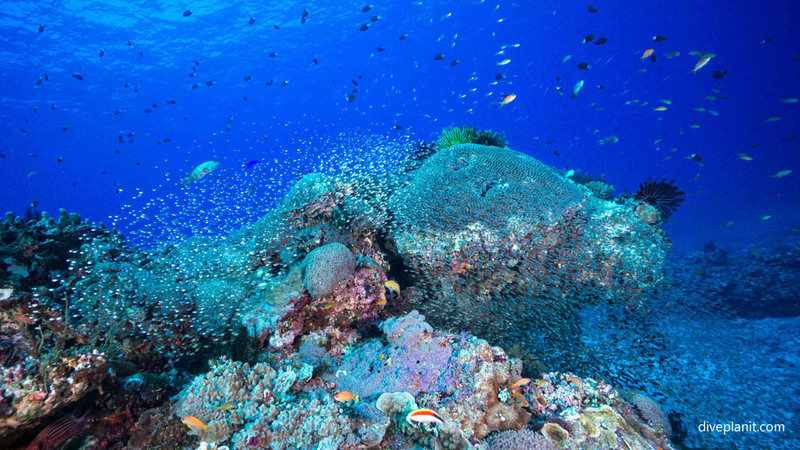 Of the outer islands, the most popular for diving is Ishigaki, famous for its blue coral and manta rays, and Yonaguni, for its underwater ruins. Okinawa is located in the southern half of the Ryuku archipelago that stretches from Kyushu to Taiwan approximately 26 degrees north latitude and 127 degrees east longtitude. 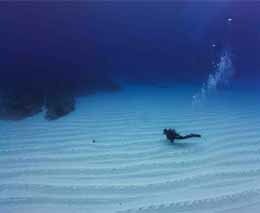 There are a number of operators to choose from on the main island and Kerama Islands as well as Ishigaki, however the more remote Yonaguni has only one operator. 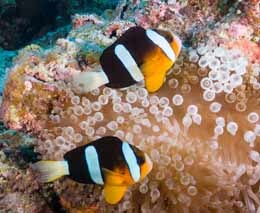 The Kerama Islands are surrounded by beautiful coral gardens, walls and pinnacles, including stand-out sites such as Kuba West and Triple Stones where you’re likely to see huge seafans, pretty soft corals and abundant marine life. 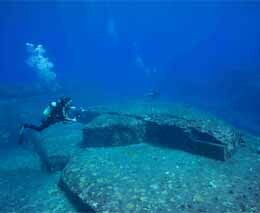 The diving on Yonaguni is more dramatic, with crystal clear water highlighting its rocky coastline, caverns, swim-throughs and sharp drop offs. There is a wide selection of hotels and resorts on the main and outer islands. If you’re transiting through the main island city of Naha, the Okinawa Kariyushi Urban Resort is a good choice, being only 4km from the airport and literally across the road from the Ferry wharf. 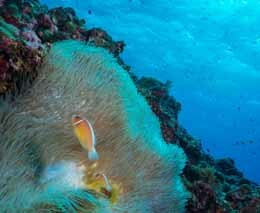 Expedia has a great selection of hotels in Naha and the outer Okinawa islands. 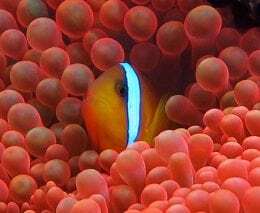 Island accommodation will generally include breakfast and dinner, while lunch is usually provided by your chosen dive operator. 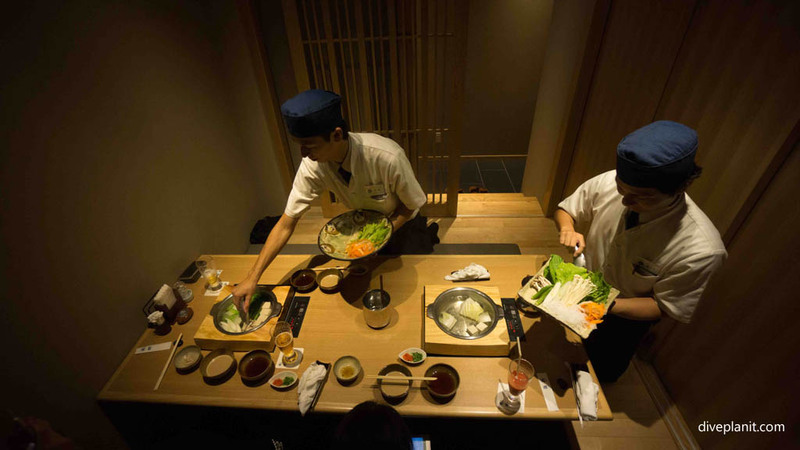 In Naha, you’re spoilt for choice in terms of dining out options. If you’re a meat-eater – make sure you try the local Okinawa Beef, which rivals Wagyu in flavour. 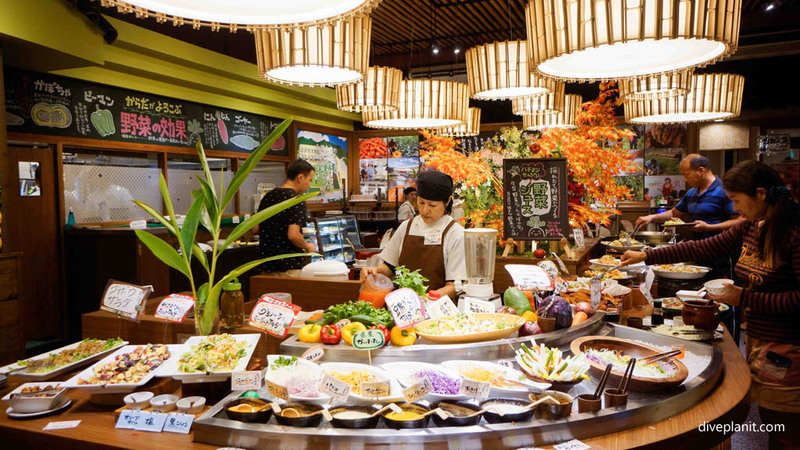 Naha has a wide range of top quality restaurants, everything from Shabu Shabu and Teppanyaki to steak houses, Izakaya, sushi trains and even a wonderful organic slow food buffet. 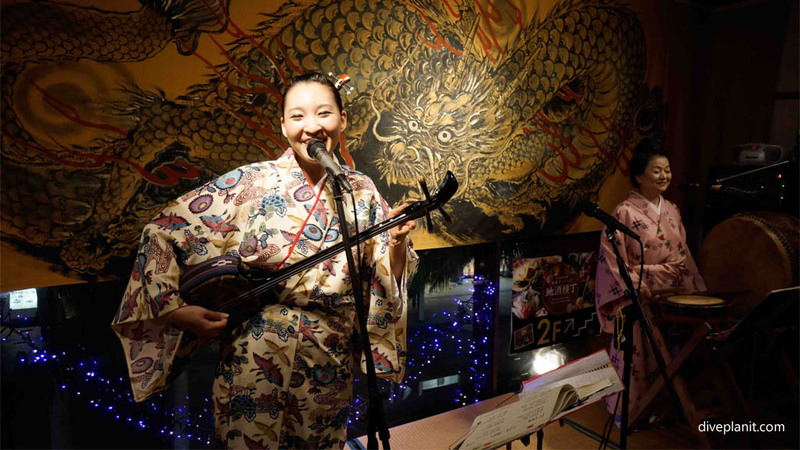 The main strip for nightlife and dining out is Kokusai Street, but here are a few recommendations off the beaten track. Kou Shabu Shabu is a great choice, where you’ll be served up large bowls of fresh vegetables and finely sliced Okinawa Beef to cook in the table-top steamer. The service here is fantastic, and food delicious. 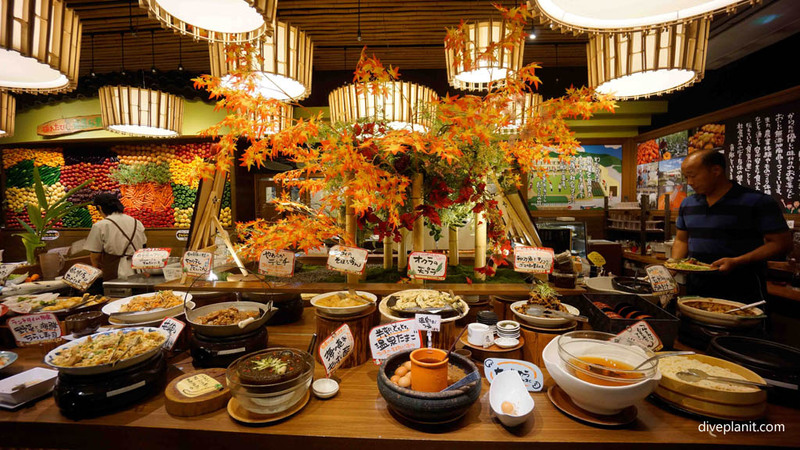 Daikon no Hana is a buffet-style restaurant (all you can eat) with every imaginable type of Japanese food, from Katsu pork to Udon, Ramen, Sushi and Japanese curry, all made from organic produce sourced from a local farming cooperative. This is the future of dining out – bring your appetite! For award-winning steak, Motobu Farm serves up Wagyu and Okinawa beef. It’s on the top floor of an unassuming-looking office block, but be sure to book – it’s always packed. Naha, the capital and main hub for Okinawa is well-serviced by a public bus system and Yui Rail. Being Japan, everything runs to timetable (to the second) so if the train timetable says it will get you from A to B in 3 min 20 sec you can be assured it will. There are also plenty of taxis (and they are cheap). Most islands can be accessed by air transfer from Naha, via Ryuku Air Commuter (a subsidiary of JAL). There is also a ferry service to the closer islands from Naha, and to the more remote islands either from Naha or Ishigaki, depending on proximity. There are also high-speed ferry transfers from Naha to Kerama Island ports which take about half the time. 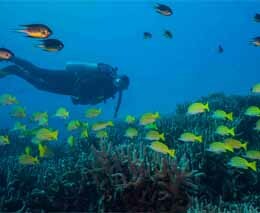 There is also a wide range of reasonably-priced guided tours of the main island. 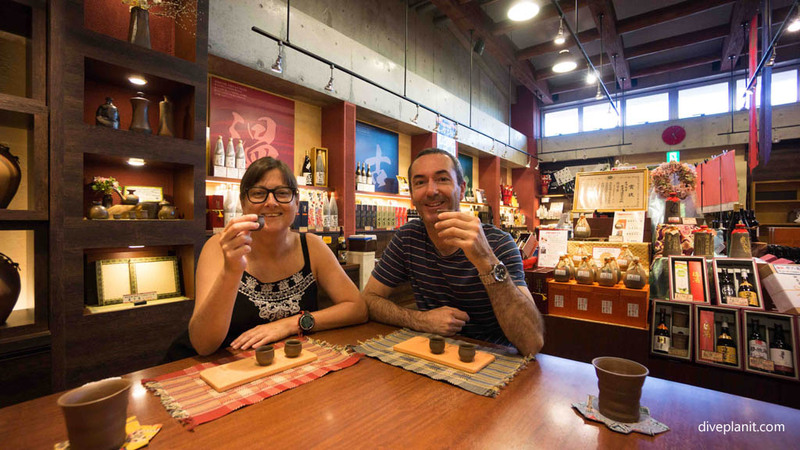 It is well-worth learning something of the history and culture of Okinawa while you’re here, it’s a fascinating place with a rich (and eventful) history, renowned for its talented artisans- especially pottery, textiles and glassware. Shurijo Castle. 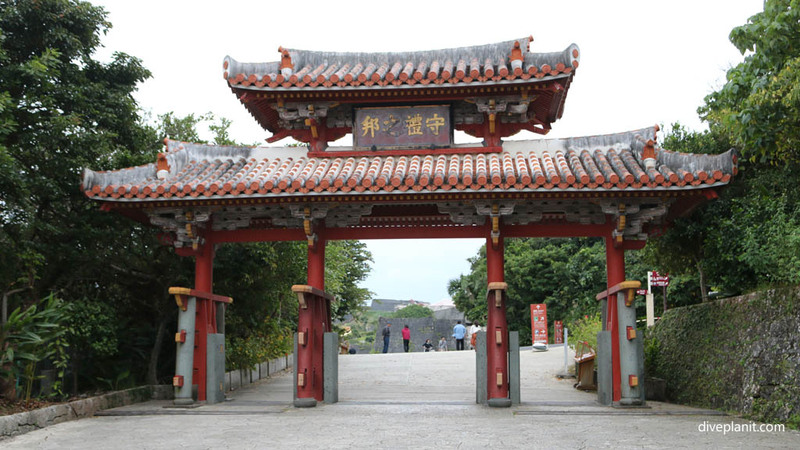 The site of Ryuku kings for centuries sits on the highest point of Naha with fantastic views of the city. The castle was built during the first Sho Dynasty with architectural characteristics of Japan, China and Ryuku. Okinawa Prefectural Museum & Art Museum. 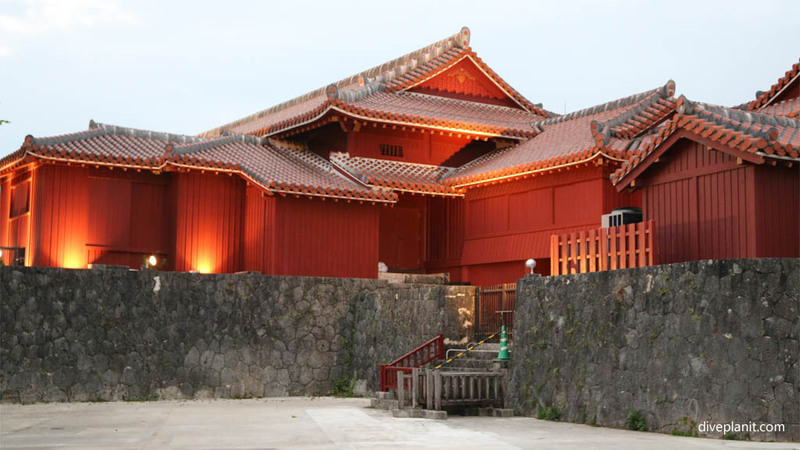 This combined museum and art gallery takes you on a guided tour of Okinawa’s history, from its prehistoric beginnings, to Ryuku Kingdoms and WWII, as well as the region’s natural heritage. The art museum focuses on Okinawan artists but also features touring exhibits from around the world. 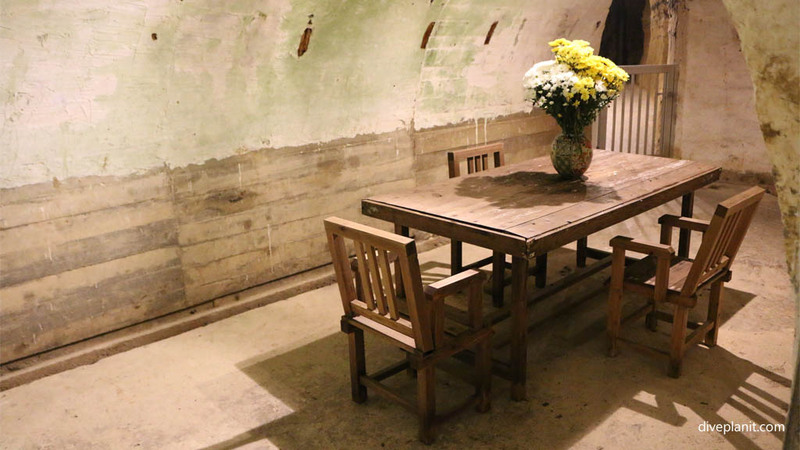 Japanese Navy Underground Headquarters. 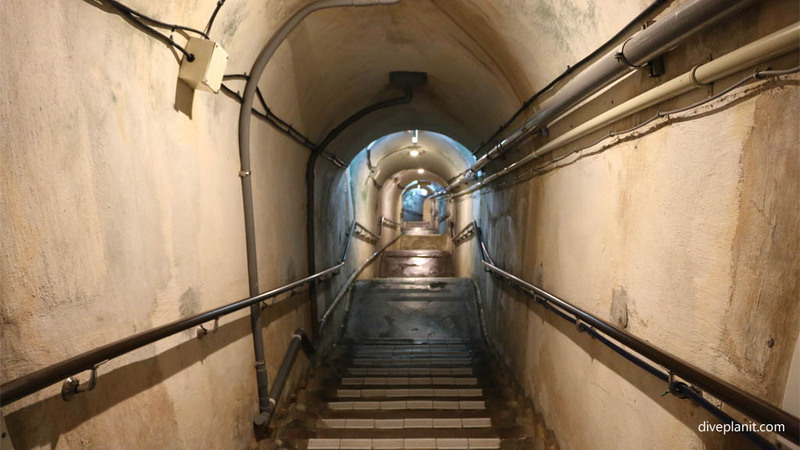 The former navy headquarters is a rather sad place to visit, but it’s important to understand the role Okinawa played in WWII. Over half the civilian population was lost in the prolonged Battle of Okinawa. 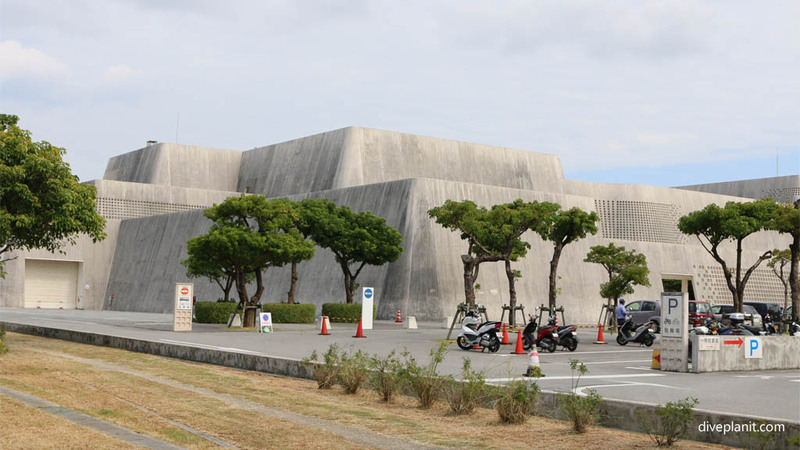 It’s a great museum and memorial to this tragic event in Okinawa’s history. Awamore Sake Distillery. 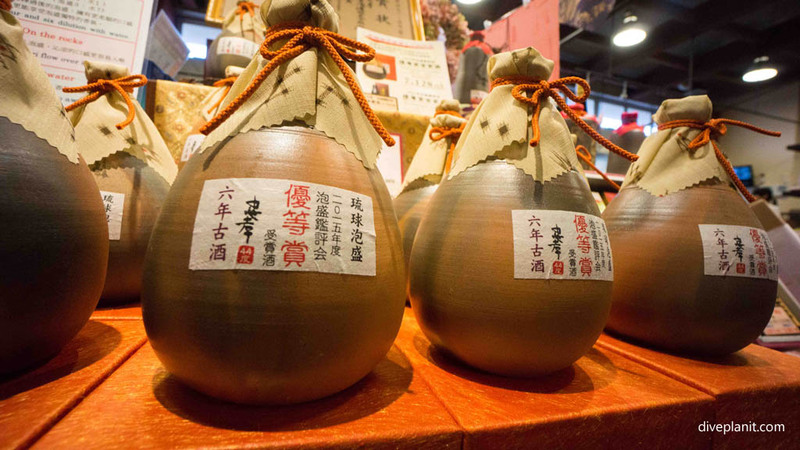 The Okinawans have been distilling sake for over 600 years – it’s the oldest distilled liquor in Japan. Similar to Shochu from mainland Japan it has a distinct flavour. It’s made with rice and black malt and aged for a minimum of three years. Tsuboya Pottery Street. This historic little area is just below Shirujo Castle. 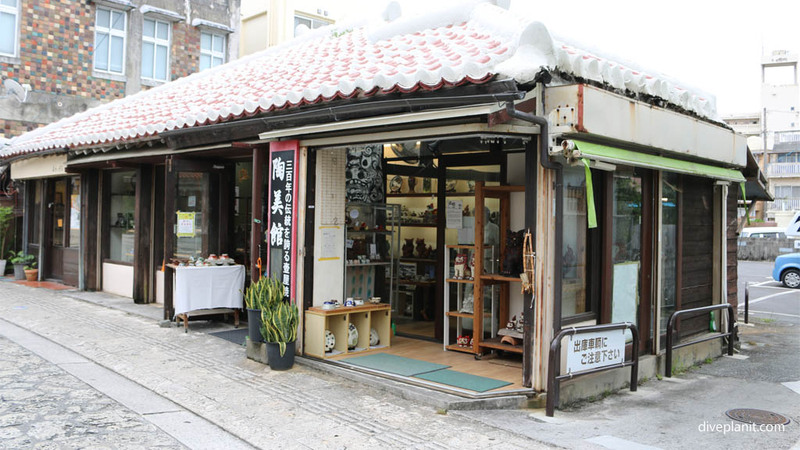 Spend some time exploring the narrow cobbled streets lined with pottery shops and studios, and book a pottery class at Ikutoen Studio (they’ll fire your masterpiece and post it back to you). 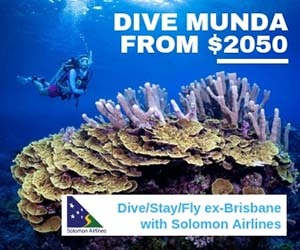 A 90-day visa is granted automatically on arrival to visitors from most countries; and as with most international travel nowadays, ensure that your passport is valid for at least 6 months beyond your stay. Local currency is Japanese Yen and ATMs can be found throughout Okinawa, in Banks, Post Offices and at Lawson and Family Mart outlets, however not all ATMs accept foreign ATM/Credit Cards – ATMs have signage to indicate whether or not they accept foreign cards. The international IDD country code for Japan is 81 and the regional code is +98. Use this handy calculator to work out how to dial a number in Okinawa. To make an international call from Okinawa, the international prefix is 010. Tourists have access to free WiFi with over 200 hot spots at tourist attractions and facilities throughout Okinawa, and all hotels also provide fee WiFi access. Voltage in Okinawa is 100 volts/60 Hz with two flat pin power points (the same as North American power points but different voltage). 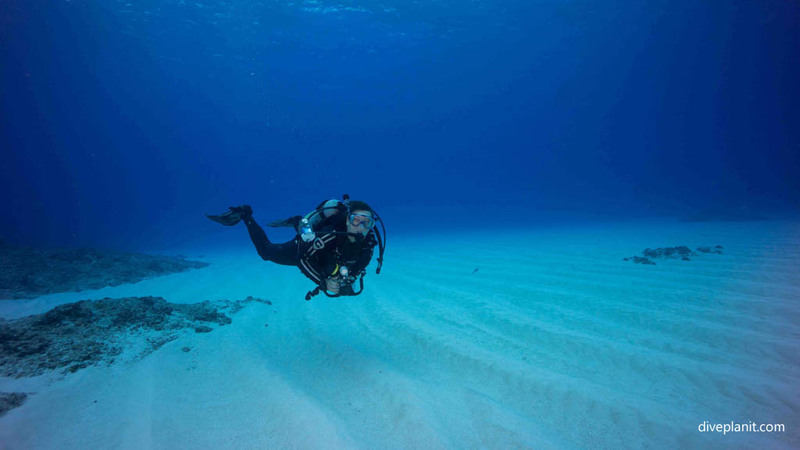 Okinawa enjoys a year-round mild climate, with temperatures dropping to their lowest point of 17 degrees Celsius in January /February and a high of 28 degrees in July. Typhoon season reaches its peak in August and September. There is no custom of tipping in Japan, and in fact, it will often be refused. 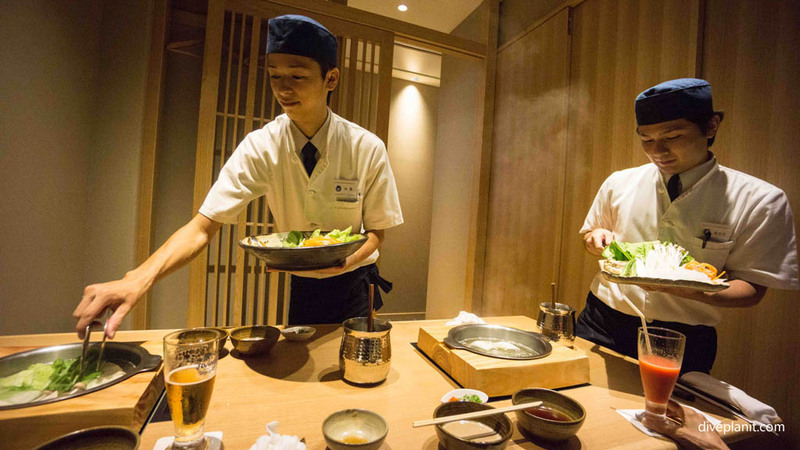 Japanese people believe that you are paying for good service, so why should you pay extra? Good manners are expected however – be respectful, polite and grateful. Here’s a handy guide to tipping etiquette. If you really want to leave a tip – do not hand over cash directly from your wallet, this is considered vulgar – place money in an envelope. But seriously – it is enough to incline your head and say “thank-you”. Please be careful to dress modestly outside of beach areas and especially in the countryside and surrounding islands where moral and religious standards are strict. How much is it? Ikura desuka? ANA have daily connecting flights to Naha, Okinawa from Tokyo and Osaka, but as Naha is an international airport, you can also fly here directly from Singapore, Taipei, Seoul, Shanghai and Hong Kong. ANA and JAL both operate daily direct flights to Tokyo from Sydney, with Qantas and Jetstar operating daily direct flights from Melbourne and Brisbane. More flight information here. Okinawans live longer than anyone else in the world, with the title of highest longevity going to Ogimi Village in the northern area. 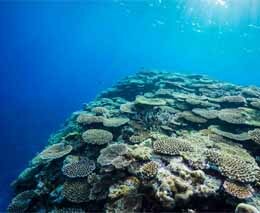 They credit a healthy diet of rice, fresh vegetables, sea vegetables, seafood, tofu and “the proper amount” of meat.